Dedicated to creating healthy, sustainable communities in underserved neighborhoods in the region through unique innovative, grassroots agricultural-based economic endeavors. 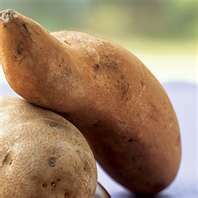 The Sweet Potato Project will provide an opportunity for at-risk youth to gain self-sustaining, entrepreneurial, small business, sales and marketing skills that can be applied in their own neighborhoods. This summer-time revenue generating program will serve as an alternative to easily accessible, deadly criminal environments. This model was designed to demonstrate that pride, ownership and vibrant economic activity can be brought back to depressed urban areas.